But can you recall all of them? Since vast topic knowledge is really the only differentiator on the non-CARS topics, in each of these sections I have included the subject areas that are most likely to appear on the exam. Make sure that you know these topics! 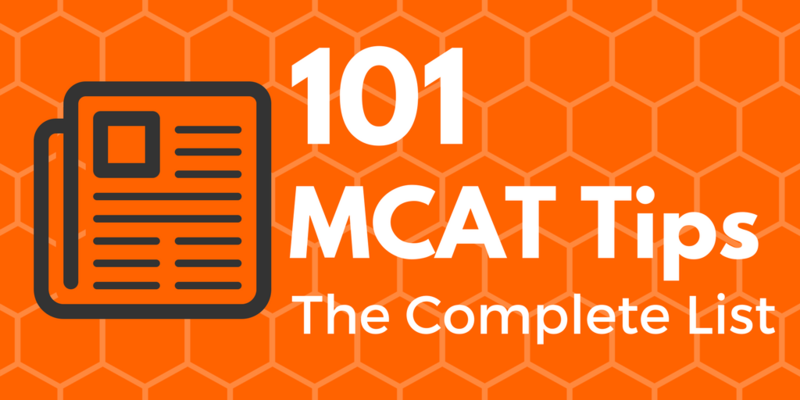 Exclusive Bonus: Download a free checklist that will give you a rundown of what you need to do the night before and bring the morning of the exam for MCAT SUCCESS. 1. Make Your Own Mnemonics: Mnemonics are a way to make memorizing concepts a lot easier, and you are more likely to remember them if you make them yourself. Use this for concepts where there are many things to remember. 2. Turn off Your Phone: Your phone is not allowed during the exam, so why have it while you are studying? It is a distraction so put it away and the study time will fly by. You can catch up with everyone else later. 3. Learn the Directions for Each Section: Each section of the exam has directions that hardly ever change. Learn the section directions now so that you can skip reading them on test day, saving time. 4. Take Breaks When Needed: You need break time to make your studying time more efficient. It is useless to study when you are tired and studying for really long periods can sometimes hurt you instead of help you. 5. Use Online Resources: Online resources are a great way to increase your score. These resources are a free way to help increase your score. If you are a self-starter that just needs some practice questions, this is the way to go.